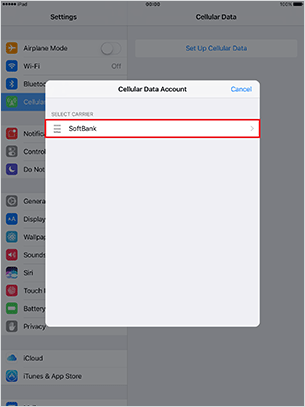 Compatible iOS are 9.3 or later. 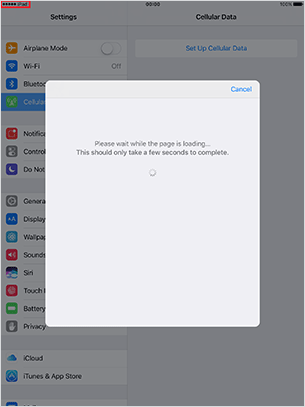 Customers with iPad mini 3 (A1601) iOS 9.3.x: After completing “1. 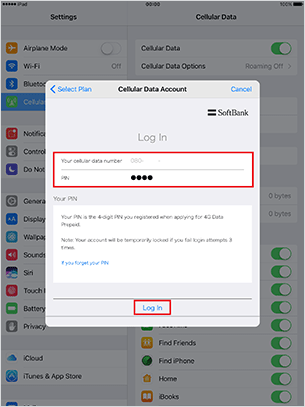 How to Register a new account”, connect to Wi-Fi, and proceed to “2. 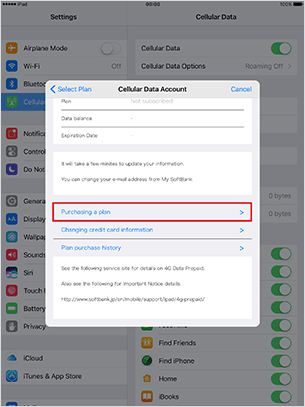 How to Purchase 4G Data Prepaid plan". 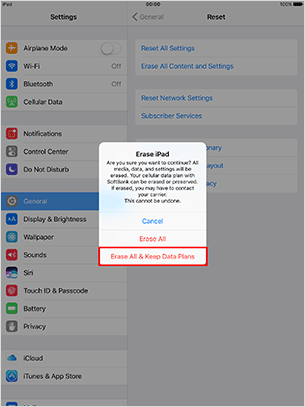 If using an iPad with an embedded Apple SIM, excuting "Erase All Content and Settings" in "Settings > General > Reset" will also erase your Apple SIM data. If your Apple SIM data becomes erased, you will not be able to use the 4G Data Prepaid service you purchased, and you will again be required to register a new account and purchase a plan. 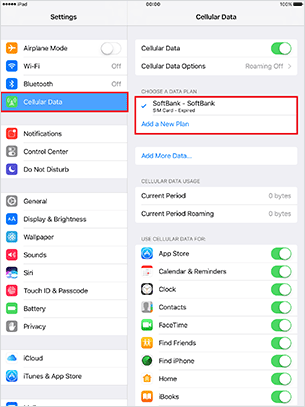 To continue using data, you must use the following procedure. Data will not be available until you complete a 4G Data Prepaid plan purchase. 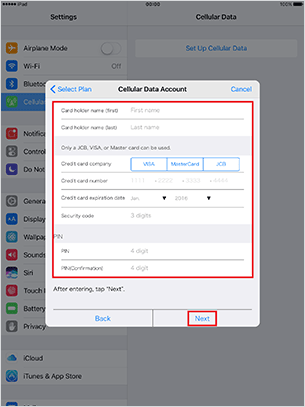 For models with an embedded Apple SIM, start from step 2. Fill out customer information form, and tap "Next"
In "Comfirm Information Entered for Your Order" check subscriber information, and tap "Register" after comfirmation. Your account registration has been successed after "Registration completed" appears. 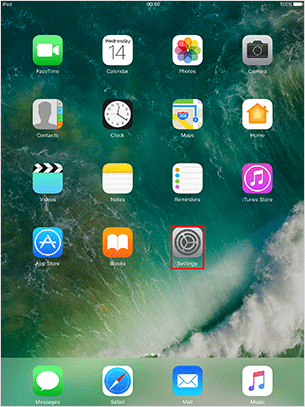 Notifications are sent to the registered e-mail address. After your purchase is processed at “2. 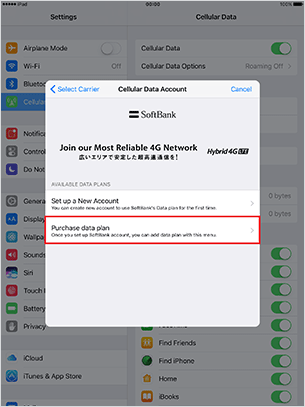 How to Purchase 4G Data Prepaid Plan”, data will be available. Turn off your iPad then turn it on again, check that "Cellular carrier" and "Network status" at Status bar is "iPad", and tap "Settings". 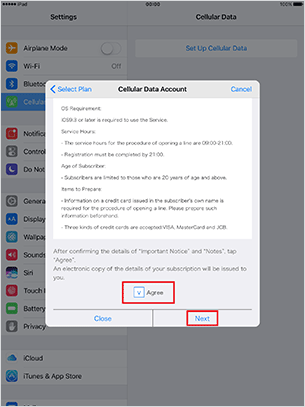 Tap “Cellular Data” , then in “CHOOSE A DATA PLAN”, tap “Add a New Plan”. 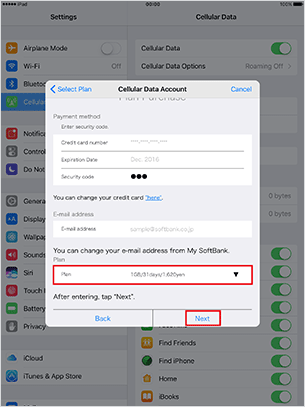 Please confirm your Cellular data number on the notification mail and Web sheet are the same, then enter pass number, and tap “Next”. PIN is that you entered at step 7 of “1. 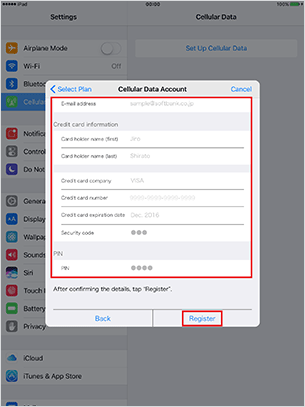 How to Register a new account". 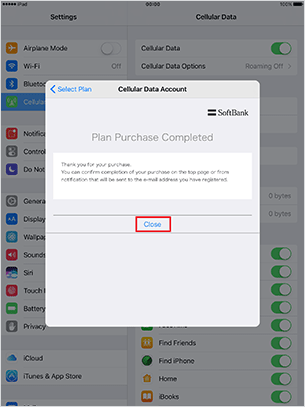 Check subscriber name and e-mail address, and tap “Purchasing a plan”. Confirm details of “Notes”, checkmark “Agree” if you agree, and tap “Next”. Enter credit card Security Code, select plan, and tap “Next”. 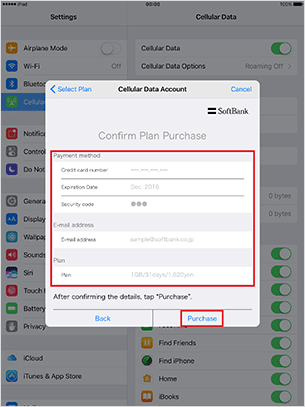 Check credit card number, e-mail address, and plan, and tap “Purchase”. 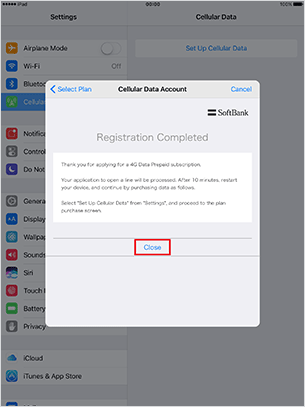 4G Data prepaid purchase is now completed; tap “Close”. The notification mail is sent to registered your e-mail address after prepaid plan purchase is completed. 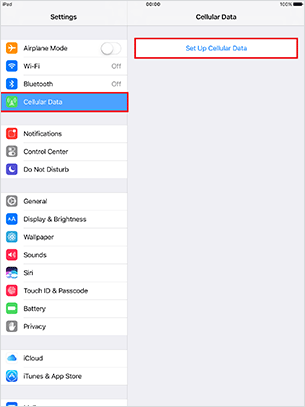 Turn off your iPad then turn it on again, check that "Cellular carrier" and "Network status" at Status bar is “ ”, service is available. 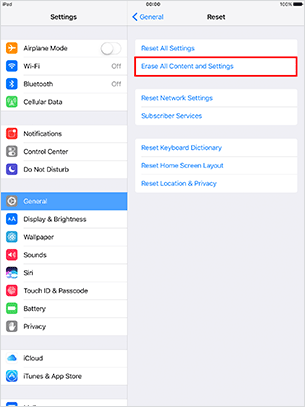 Tap “Settings” → “General” → “Erase All Content and Settings”. 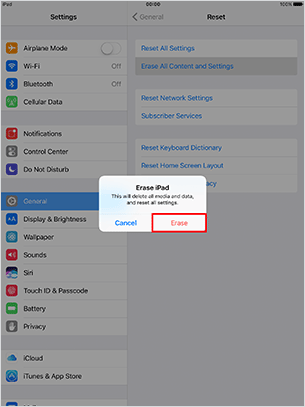 “Erase iPad” → Tap “Erase”. 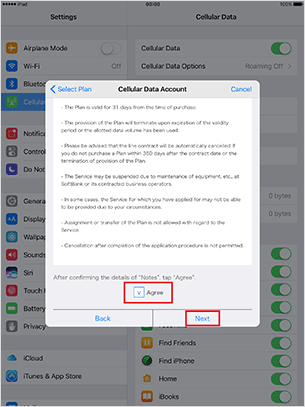 Caution : Performing “Erase All” also erases your purchased plan in Apple SIM.